All the Birds performs its own kind of time travel. The story jumps ahead — first seven years, then 10 — until Patricia and Laurence are young adults, recently reunited after years of estrangement. In an indeterminate, near-future setting, the two rekindle their friendship, and perhaps something more, against a harrowing backdrop. Global catastrophes are brewing, and both Patricia and Laurence harbor secrets — one magical, one scientific … Huge questions of ethics and responsibility play into the plot as the apocalypse looms — conundrums that Anders raises with sensitivity, complexity, and a keen eye for the philosophical issues the human race faces as it ventures further into the future. 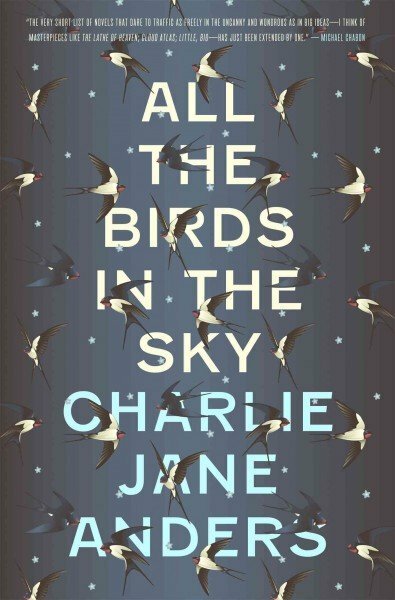 Charlie Jane Anders' brilliant, cross-genre novel All the Birds in the Sky has the hallmarks of an instant classic. It's a beautifully written, funny, tremendously moving tale that explodes the boundaries between science fiction and fantasy, YA and ‘mainstream’ fiction … Anders' humor elevates this marvelous book above the morass of dystopian novels that have flooded the literary landscape. So does her ability to portray a realistic yet original vision of the near-future … Anders weaves a thrilling, seat-of-the-pants narrative with a compelling subtext. Through Laurence and Patricia, she explores the tension between those who would exploit our world's increasingly limited natural resources to save humanity and those who believe that humanity isn't just part of the problem, it is the problem. There’s a lot going on in this book. 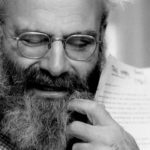 On the surface, it’s a chronicle of attempts to save the world from various slow-burn apocalypses: climate change, overpopulation, disease — basically the same nightmarish end-times scenarios that loom large in the public consciousness now, complicated by magic prophecies and theoretical physics. Beneath the surface, it’s the coming-of-age tale of Laurence, the aforementioned A.I. creator and scientific genius, and Patricia, a budding witch … The result is as hopeful as it is hilarious, and highly recommended. What did you think of All the Birds in the Sky?